Abu Dhabi: Hyperloop Transportation Technologies (Hyperloop TT) announced on Wednesday that it will begin construction of the first commercial hyperloop system in Abu Dhabi in the third quarter of 2019. The company appointed design and engineering firm Dar Al Handasah to assist in bringing the Abu Dhabi commercial system to reality, Hyperloop TT said in a statement. The company did not provide information pertaining to investment or when the project is likely to be completed. Dar Al Handasah joins the project as design lead and as the latest investor in Hyperloop TT, according to the statement. In April this year, the US-based company signed a Memorandum of Understanding (MoU) with Aldar Properties to build a ten-kilometre hyperloop line in Al Ghadeer, on the border of Abu Dhabi and Dubai, close to the Expo 2020 site and Al Maktoum International Airport. “We are bringing the future of rapid transportation technology to all those living in the UAE,” said Hyperloop TT Chairman Bibop Gresta. 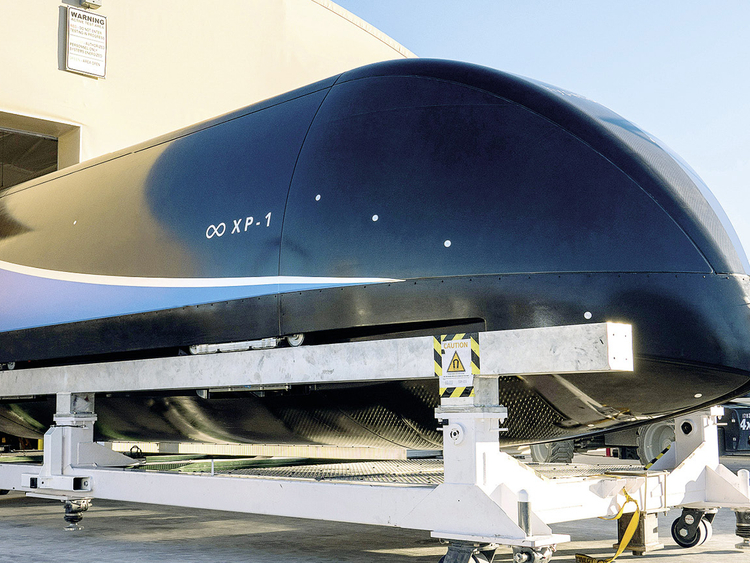 The company is also looking at several hyperloop routes including connecting Al Ghadeer to Yas Island, Abu Dhabi Airport, Al Ain and to Saudi Arabia in the future, Gresta told Gulf News earlier this year. Los Angeles-based Hyperloop Transportation Technologies is focused on realising the hyperloop, a system that moves people and goods at unprecedented speeds.